On 13 December, a new waste sorting station will start working in the town of Masty in the Hrodna region. The European Union finances the project as a part of national programme for environmental protection in Belarus. Besides the waste management problem, the EU supports other environmental projects such as green energy and water purification. The Belarusian government frequently applies for EU assistance and gladly accepts it. However, the official line does not allow it to publicly demonstrate its cooperation with the EU. Environmental protection serves as one of the areas where quiet cooperation between the EU and Belarus is successfully developing. Belarus generates around 30 million tonnes of waste annually, out of which household waste makes up 3 million tonnes. Each year, the volume grows by 20%. Existing waste recycling stations have the capacity to recycle only 12% of household waste, while in the EU the rate of waste recycling is around 60%. The rest is dumped into landfills and/or buried. The existing landfills in Belarus often do not satisfy the the basic standards in their way they carry out their operations or with regards to their location or their usage. These landfills pose a major threat to the environment in Belarus. Although the government states that 85% of urban housing has access to separate waste systems, the population does not yet actively use it. As a result, the waste suitable for recycling makes up half of the total waste and ends up in landfills. The absence of equipment for recycling various post-consumer waste constitutes another problem, as the state has no resources to invest in this area. 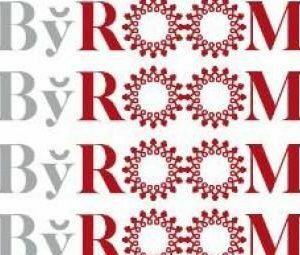 Several foreign investors have already established their business in this area in Belarus, such as the Swiss company TDF Ecotech AG, the Swedish company Vireo Energy, Austria's Strabag and the German company Remondis. However, they work only in several urban centres, while most towns, the those that are small or medium-sized, have no prospects for developing a sustainable waste management system. The European Union appreciates the importance of waste management and developed a program called “Waste Governance” within the European Neighbourhood and Partnership Instrument. A portion of the €5m budget of the environmental cooperation program for 2010-2013 has been allocated to working on this issue and has implemented pilot projects in the Puchavičy district as well as in the towns of Masty and Kobryn. The projects includes aligning Belarusian legislation with EU standards, raising public awareness of the problem, and a more practical component – buying special equipment and machines for sustainable waste management in these towns. 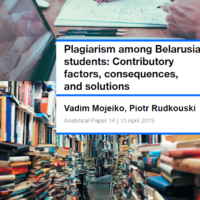 Because of the enormous dependence of Belarusian industry and households on Russian oil and gas imports, the problem of alternative energy remains crucial for modernise Belarus. Although the Lukashenka regime enjoys cheap tariffs on Russian energy in comparison to its neighbours who are less loyal to Vladimir Putin, the prices consistently grow and it has become harder and harder to make deals with the Russians. Afraid of becoming fully dependant, the regime seeks to develop alternative energy sources. In 2011, the government published its National Programme of Development of Local and Renewable Energy Resources. The programme aims to develop all reasonable sources of energy for Belarus, from peat and wood to wind energy, geothermal energy and biogas. However, while extraction of peat is a well-known to Belaruian industry since Soviet times and does not require large investments, wind power still needs significant investment and takes much longer to become profitable. Belarusian bureaucrats seek easier ways to implement the programme despite the clear difference in environmental impact that these two energy sources have. So far, progress in the building of wind turbines has been very modest. Moreover, foreign investors who work in this area face bureaucratic barriers in Belarus. In 2012, the German company Enertrag AG signed a €360m agreement with the government to build a wind farm of 50 turbines in the Dziaržynsk district near Minsk. But the Ministry of Defence banned the project on the grounds that the farm will interfere with work of its anti-aircraft systems. The offended Germans, who had invested quite a sum at that point, decided to pull out of all of the deals it had with the Belarusians. Meanwhile, the European Union tries to persuade Belarusian government that the cost of production is not the only reason for developing alternative energy sources. Environmentally friendly technologies should be strategic priorities to keep the country clean for future generations. In May 2013, Belarus and the EU signed a contract for the Green Economy project in Belarus worth €12m. The project will finance the construction of a wind turbine near Navahrudak and about twenty smaller green projects suggested by local authorities of various regions of Belarus. Most of the rivers in Belarus are polluted with nitrogen and phosphorus compounds below or above the so-called “maximum allowable content”, the value that shows the concentration of chemicals in water. The main reason for this phenomenon is sewage water that is being discharged from the urban centres of Belarus. Although Belarus significantly reduced the use of water in industry since Soviet times, the sewage treatment facilities continue to use technology from the 1960s-1980s and cannot sufficiently clean the water to an acceptable level. Moreover, in some enterprises cleaning facilities are simply absent. 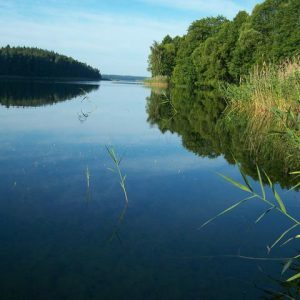 45% of rivers of Belarus make up a part of the Baltic Sea ecosystem, and their pollution directly impacts the countries that border the Baltic Sea. In March 2013, the Ministry of Housing and Communal Service received a total of €65m for the project to moderne the water-purifyication systems in five Belarusian cities. The European Bank for Reconstruction and Development, Nordic Investment Bank and Northern Dimension Environmental Partnership supported the project. Belarus received €21m as a grant, and the rest of the sum will be a loan on preferential terms. Andrej Šorac, the Minister of Housing and Communal service recently explained that, “the negotiations that preceded the agreement's signing took years.” The minister showed a good example of how the Belarusian authorities, especially institutions that directly implement public policies, are interested in cooperation with the EU. Despite the unfriendly rhetoric on the highest level fuelled by Russian support, Belarusian bureaucrats realise that the state lacks the funds and expertise to tackle environmental problems. The projects described above present only a small segment of environmental projects, both national and regional, that the EU is implementing in Belarus. The Belarusian government wastes huge sums of Russian subsidies for unearned, politically motivated wage hikes, while strategic approaches like sustainable development receive less attention at the top. However, the Belarusian authorities always welcome EU assistance in environment protection – it does not undermine the political regime and helps local people, thus making it a win-win situation for all parties involved.